This was a very quiet week at Giant! In fact, I wouldn’t have even bothered to go at all but there was a gift card deal that I wanted to get and while I was there I decided to grab these two things too. The gift card deal was a gas rewards thing. Basically, when you bought a Visa gift card, you earned savings in gas. If you bought a $500 Visa gift card, it ended up being a money maker of $19! So we did that a couple of times and plan to use the gift cards on a couple of big expenses that we are going to be having soon- one being a car repair bill. Which is also why I’m not counting it as a grocery credit. I don’t avoid high fructose corn syrup at all costs, but I do try to avoid it as much as possible. And one of the things that I usually can fairly easily do that in is ketchup. I combined a sale price on this organic ketchup with a coupon that I printed at the in-store kiosk to get it for just $1.49. Yes, it’s a bit more than regular ketchup, but to me it’s worth it. 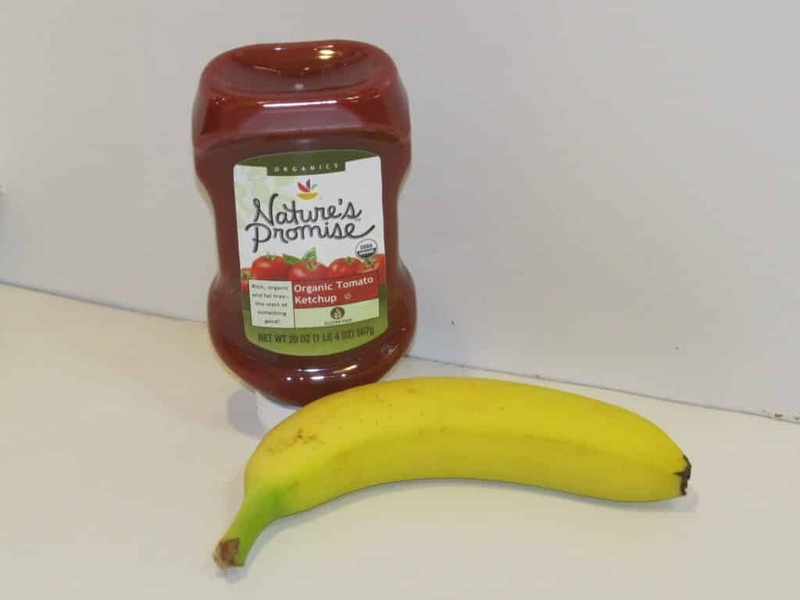 I know it might seem odd to choose ketchup as one of those things to buy a healthier version of, but since HFCS is often one of the main ingredients in most brands, it helped influence my choice. The banana was free after savings from Checkout 51. I’m guessing I won’t be shopping at Rite Aid much after this week since they are ending their UPRewards program. Unless my suspicions are wrong, I’m pretty sure the deals will be quite a bit less awesome from here on out. 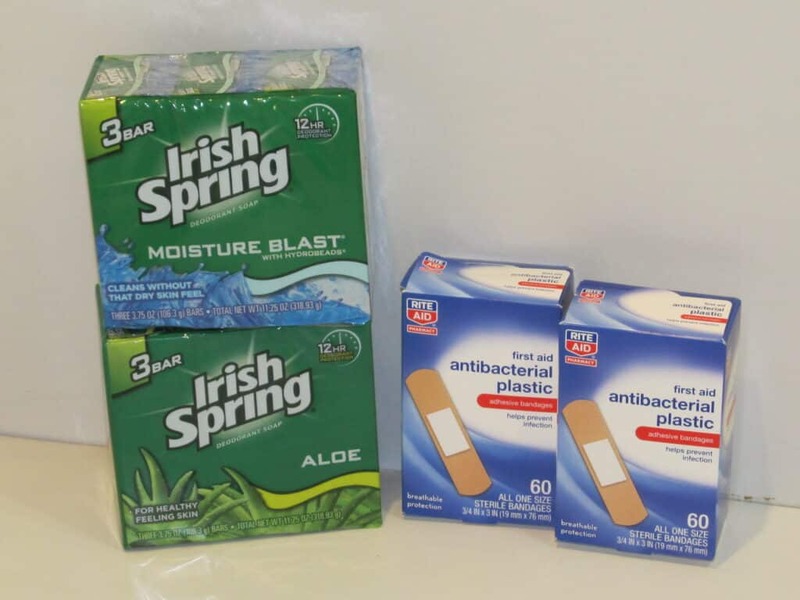 The Irish Springs soap was free after coupons and sales. My husband doesn’t mind using bar soap and since it is usually the same price and lasts longer than body wash, I sometimes get it instead. We were totally out of band-aids, something I discovered when I went to get one to comfort my 3 yr. old who had a minuscule scratch on her finger. So I decided to take advantage of the $2/$10 coupon that I had received at Rite Aid last week and bought the band-aids to get my total up to $10. Basically it made the one box free. Oh and if you do the math here, it might end up being kind of confusing. For some reason the Irish Springs body wash coupons wouldn’t scan. So they let me pay for the purchase and then gave me $4.00 in cash for the coupons. Just my usual Aldi trip. Several months ago a reader requested that I do a post on the things that I typically buy at Aldi. I’m really hoping to do that sometime here in the near future. But in some ways, it’s going to be kind of hard because the things that I buy do vary a bit depending on what I can get cheap with coupons elsewhere. Still, there are things that I pretty much consistently purchase at Aldi. One of the things that I love to get is their Taco Seasoning. It’s cheap and it is also free of MSG which is not typical of most brands. 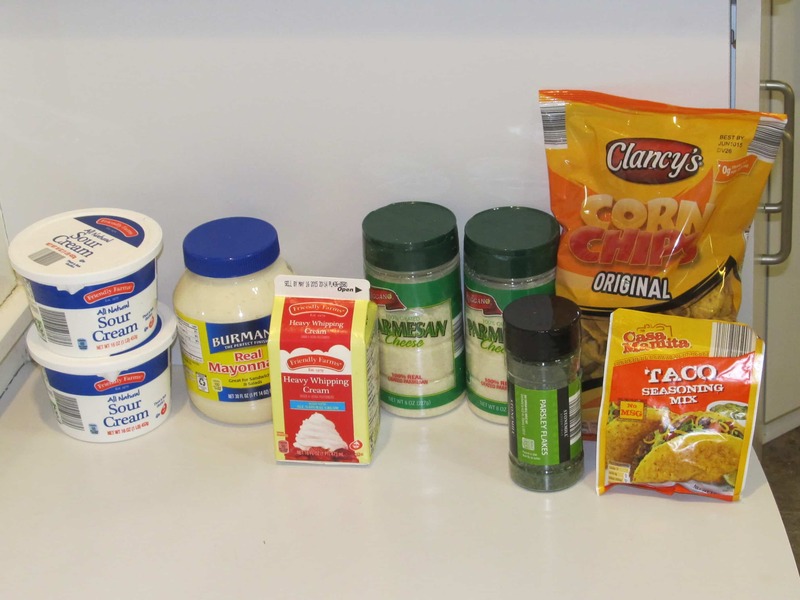 In fact, in an effort to be healthier, I used to try making my own taco seasoning but I could never get it to taste quite like the bought stuff. So when I realized that Aldi’s brand was just good stuff, I decided to save myself the hassle and just buy it there! As I was buying the Parmesan cheese, I was realizing that it’s really not a very frugal purchase! The problem is, a few of our favorite recipes use it and I’ve kind of gotten used to make them quite a bit. But I do want to see if maybe I can figure out a way to get it less expensively because Aldi’s price is higher than it used to be and I just discovered this week that it’s no cheaper than Giant’s store brand. I’m going to look at a local discount grocery store this week to see if they carry it and if it’s possibly cheaper there. If not, well then it just might be one of those things that I just kind of consider a small splurge. And at this point, I assume some of you are rolling your eyes that I consider Parmesan cheese a splurge! 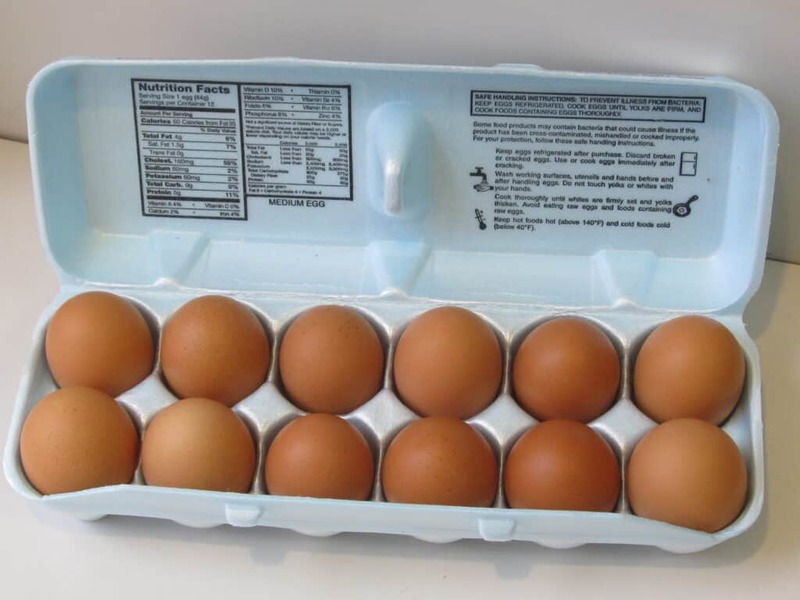 * My husband’s parents have their own chickens and when they came to our place last night they brought along a dozen of these beautiful brown eggs. I know brown eggs aren’t healthier, but I have to admit, something about them just seems more wholesome….and they’re prettier too. That is if eggs can be pretty! 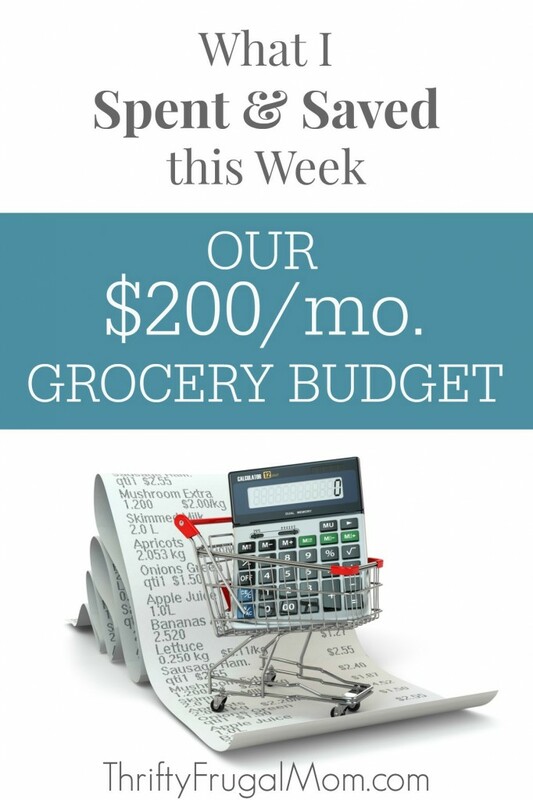 It’s the last full week of the month which means I also do a summary of where we are grocery budget wise. I spent quite a bit this month and kind of thought I might actually go over budget a tiny bit. But thankfully, I didn’t! The reason I wasn’t concerned too much if I would have is simply because a lot of the reason I spent so much was because I bought a bunch of things at Giant that were part of their gas reward deals. As a result, I have about $40-$60 worth of gas savings racked up that I’ll be redeeming over the next several weeks and then that will credit to my grocery budget. I try to stay well under budget the first part of the year simply because once summer is here, I’ll be spending a lot more to buy large quantities of fruits and veggies to preserve. Typically August, September and October, I spend a lot and will go well over our $200 budget. So by intentionally under-spending now, I’ll help out our budget significantly then!